In 1946, after almost 10 years of war, the whole world was changing and new issues were facing American citizens, both those who supported the war effort at home and GIs who were attempting to re-integrate into normal American life. NBC's The National Hour was a public opinion radio show that discussed and dramatized many of those new issues after the end of World War 2. The show was billed as a "mirror of public opinion reflecting what America and the world are thinking, planning, doing." Each show tackled a different subject such as inflation, the future of young Americans, or protecting your money from con men. The subject was illustrated with small dramatizations and scenarios to help the listener avoid a problem or think about how to change a situation. Interviews were conducted with different experts around the country about how the show subject was affecting that part of the country. 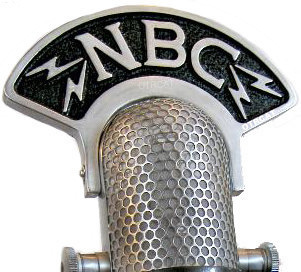 NBC National Hour was hosted by Robert St. John and featured veteran radio reporters such as Robert McCormick, and Herbert Matthews. The show was broadcast Sundays at 4:00 PM. See also: In Review, The Answer Man, Hello Sucker, and University of Chicago Roundtable. Be the first to comment on "National Hour"